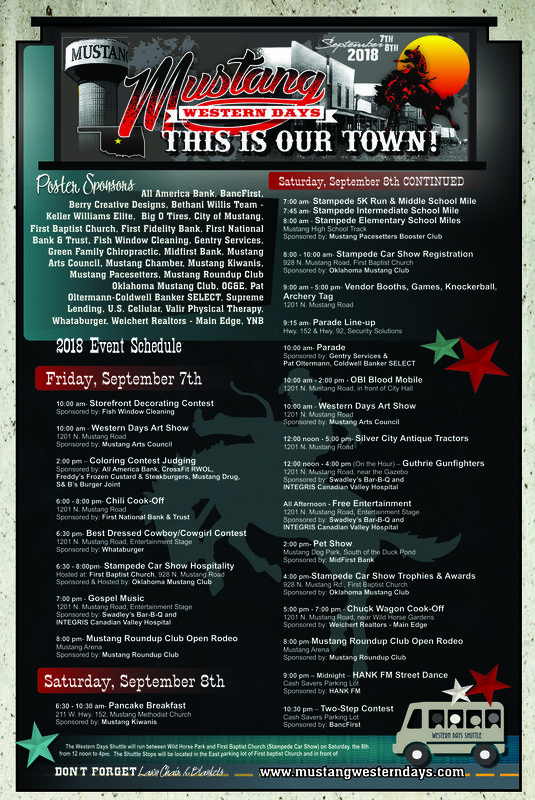 Western Days is held each year on the first full weekend following Labor Day. Crowd size has been estimated as high as 30,000 due to the many events and attractions bringing in visitors, combined with the many reunions planned around this weekend given that Western Days brings many families back to Mustang particularly for this event. Seeing the families lining the streets with lawn chairs and pickup beds full of laughing children anticipating the parade, reconnecting with friends you have not seen in years, all while shopping the arts and crafts booths accompanied by the local entertainment will undoubtedly leave a special memory in your heart. The weekend is packed with opportunities for the old to rekindle some of their fondest memories and the young to begin making memories of their own. 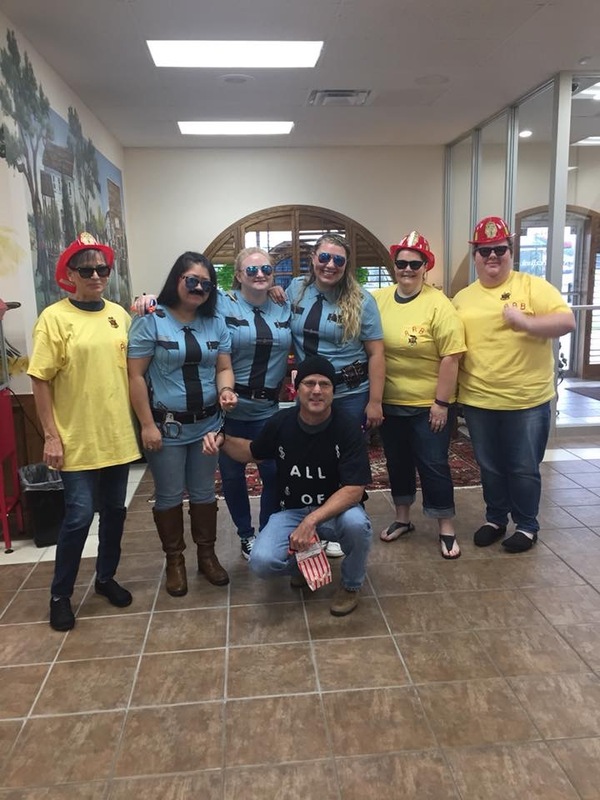 On Friday, businesses will set the tone of the weekend by competing in Store Decorating Contests and a traditional Chili Cook Off. These two events have become a spirited competition, as each year local businesses strive to earn the showmanship award and the honor of best tasting chili. Also at the chili cook off, the Best Dressed Cowboys and Cowgirls will receive awards according to age categories. Friday evening will rouse the talent of local churches as they entertain with Gospel Music at the main stage located at the Wildhorse Park Gazebo, 1201 N. Mustang Road. Both Friday and Saturday night, the Mustang Round Up Club hosts an Open Rodeo at the Mustang Round Up Club Arena beginning at 8 pm. Bring family and friends out to witness the strong competition of the rodeo participants. The Open Rodeo is guaranteed to provide excitement and thrills to the every member in the audience. Saturday is always chock-full of fun, beginning bright and early in the morning and running late into the night. The Kiwanis provide the community fuel for the day with their Annual Pancake Breakfast held at the Mustang United Methodist Church. Years of practice make them the best at cooking some delicious pancakes for everyone. Once they are well fed, runners will meet at the Mustang High School Track to compete in the time-honored Western Stampede Run. Runners of all ages are encouraged to participate in their age division run, ranging from elementary school to adult runners. Approximately 700 participants are expected to strap their running shoes on for this year’s race. 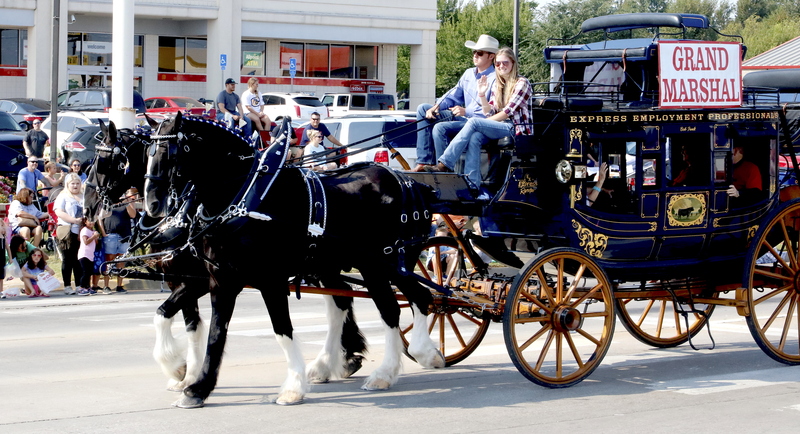 For those more inclined to travel by wheels than on foot, be sure to stop by the Stampede Car Show hosted by the Oklahoma Mustang Club. It is held at First Baptist Church, 928 N. Mustang Road. Registrations are accepted Saturday morning for both open and Mustang cars. Trophies are awarded Saturday afternoon for the best cars. The Western Days Shuttle will be running every thirty minutes between Wild Horse Park, and the Car Show. The main attraction of the morning is the Western Days Parade. For a single morning each year, two miles of State Highway 152 is shut down for the parade with over 100 participants including local dignitaries, clubs, schools, and businesses. Costumes and floats are creative and colorful as each participant competes for one of the many trophies in different categories. Be sure to bring your lawn chairs out early to claim your seat along the route for the best view of the parade entries! Following the parade is a fun filled day, bursting with Entertainment provided by local talent and a Pet Show, as well as unique shopping opportunities from the arts and crafts Vendor and Business Booths. Activities at Wildhorse Park also include OKC Thunderbolt Fan Experience, Knockerball, a dunking booth and more! Don’t worry if the energy from the pancakes is wearing off, a variety of delicious food is always available from the many food vendors! The Western Days Committee welcomes anyone with a civic and volunteer spirit to assist with planning to ensure the event occurs without a glitch. Contact the Chamber Office to discover which committee opportunity best suits your interest. 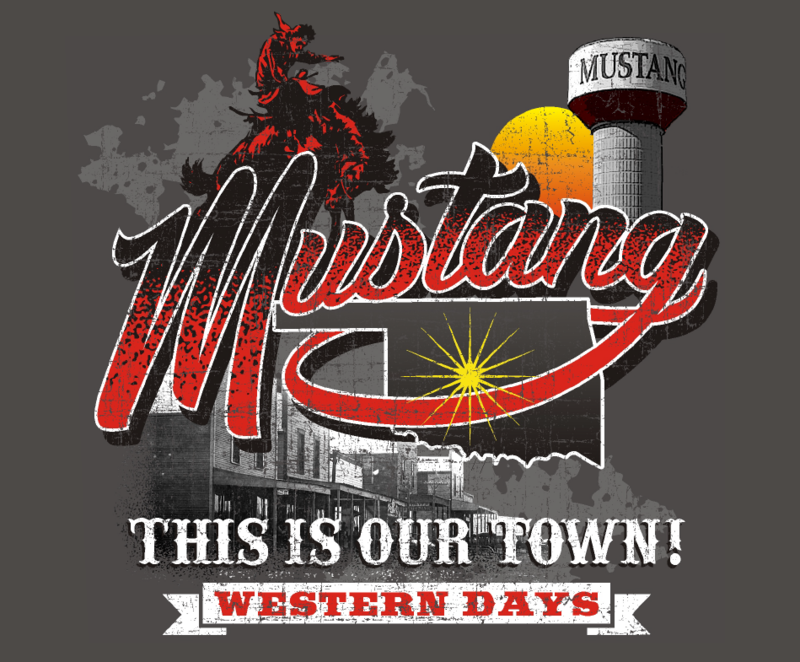 Applications for all Western Days events and a schedule of events are available on the Mustang Chamber Website: Mustang Chamber of Commerce and are also available from the Chamber Office. Or become our follower to get Western Days and all announcements concerning the Mustang Chamber and City of Mustang on Facebook. Look us up… The Mustang Chamber.